Home Anatomy Is a Labial Frenectomy Necessary After Braces? A couple of months ago, my sister called to ask my opinion about a frenectomy that the orthodontist had suggested for my nephew. After discussing it with the orthodontist, my sister decided to postpone the frenectomy for the time being. Since then, it seems that I’ve had more than a few questions about the necessity of a maxillary labial frenectomy on the post describing a labial frenectomy. These questions seem to come from parents who are concerned about whether a surgical procedure is truly necessary to keep their child’s teeth straight after orthodontic treatment. I don’t blame them for their concern. I think that an unnecessary surgery is not only a waste of time and resources, but also introduces unnecessary risk to the patient. 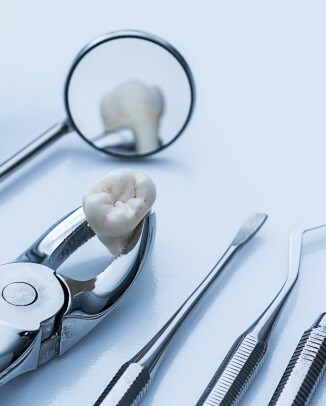 In this article, I’ll take a look at at the leading textbooks on orthodontics and pediatric dentistry to see what they say about whether or not a frenectomy is necessary after having braces. It’s important to note that a frenectomy should not be done during braces treatment as it is believed that the scar tissue formed may prevent the teeth from moving together, thus creating a permanent gap between the two front teeth. It seems that more and more orthodontists are recommending frenectomies to their patients. I just turned around and asked my wife if her orthodontist had recommended a frenectomy and she said no. My orthodontist never recommended a frenectomy either, and I have a large frenum! Although there is a very small space between my front two teeth, they still touch at the bottom and it’s nothing that would show when people look at me. Here he says that a frenectomy should be done only after the space between the front teeth is closed. He also says that it may be necessary in some cases but that you really can’t tell if the frenum will cause the space to reopen based on its size and shape alone. In summary, he says that a frenectomy should be done only if the spaces appears to be reopening and you have tissue bunching up between the front teeth (which could cause the space to reopen). 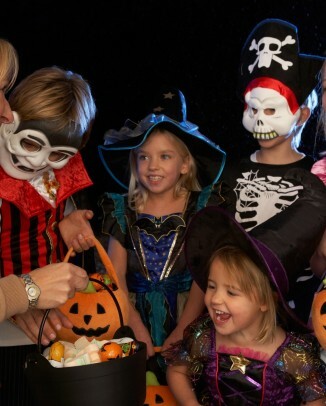 Now that we’ve seen what the orthodontists say about this, let’s turn our attention to the dentists that specialize in treating patients 18 years of age and younger: pediatric dentists. Just so you know, a diastema is the dental term for a gap between two teeth. 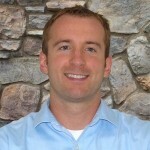 In the above quote, Dr. Pinkham says that a retainer could keep the gap closed after braces in most cases. He says that a frenectomy should not be done until the diastema reopens after the braces have been removed. Also, if that is the case, a frenectomy should only be done if the frenum is the suspected cause of the gap reopening. As you can see, both Dr. Proffit (the orthodontist) and Dr. Pinkham (the pediatric dentist) both agree that a frenectomy should only be performed after the teeth are moved together with braces and if the frenum is determined to be the cause of the gap. I have to say that I agree with their position on this issue. It’s important to emphasize again that a frenectomy should not be performed before the space between the front teeth is closed. Also, a frenectomy should only be performed after it has been determined to be the cause of the space reopening. If you have any questions about frenectomies, feel free to leave a comment below and I’ll get back to you. My daughter recently got braces off after 3 years, she is now 14, and a space has started opening before her center upper teeth. If her orthodontist recognizes it is because of the maxillary midline frenum, how can we get the space to close before the frenectomy? Hi Stormy Rose – Did your daughter receive a retainer at the end of her orthodontic treatment? If the space has barely opened, her retainer might be able to help bring the front two teeth back together. If not, there are different ways that the orthodontist can move the front two teeth back together. Although old, here is a Youtube video from the University of Michigan’s Dental School showing how a Hawley appliance can be used to close a gap between the front teeth. I hope that helps. Thanks for your comment, Stormy! I’ve never heard of this procedure being done to keep a diastema from returning. I had a diastema but had braces as a teenager to close it, as well as to correct some other issues. I wear a retainer a few nights a week. My boyfriend recently got Invisalign to correct his diastema, and now in looking at my own teeth, I’ve noticed that my diastema may be returning; there is a very small gap (although I never even noticed it before my boyfriend’s orthodontic procedure made me study my own teeth.) Should I be concerned enough to see an orthodontist? My braces were removed about 17 years ago. I certainly hope no one recommends a frenectomy because I am not interested in a surgical procedure to prevent a gap from returning. 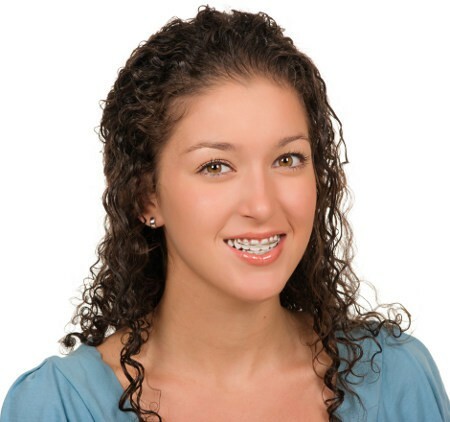 Hi Rachel – I would imagine that if your orthodontist was satisfied with your bite after braces and gave you a retainer, then your retainer should be enough to keep your front teeth together. 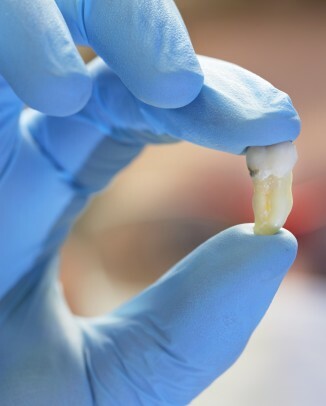 There is a lot of debate even among orthodontists as to whether or not the labial frenum actually does create a gap between teeth. My guess is that your gap has been there quite a while and isn’t going to get bigger. If you feel like it is getting bigger and want to preserve your excellent smile, then you should consider speaking with your dentist or an orthodontist to see what can be done. I hope that helps! Thanks for your comment, Rachel. Hi Tom.. I’m currently undergoing orthodontic treatment to close my maxillary central diastema. This is my second treatment as my first one failed (the diastema reopen again). My orthodontist gave me two options; to do the frenectomy BEFORE orthodontic treatment or AFTER orthodontic treatment. He gave the negative and positive side of both the choice. If we do it before the orthodontic treatment, then it will aesthetically better (he said distema will look bigger since the closing gap will make it simply bigger), but the negative thing, we will not now how many tissue he has to take, so that after the orthodontic treatment there’s a possibility of do the surgical procedure again because the remaining tissue is still there and bothering. Or, another choice, AFTER the treatment. The tissue will look clearer and will be easier to take but aesthetically not really acceptible. I chose to do it after the orthodontic treatment. But when i go to the periodontist to undergo periodontal therapy (scaling), my periodontist ask my why i didnt take the frenum first (frenectomy), and said that it should’ve been removed BEFORE orthodontic treatment. I begin to be confused, should frenectomy be done BEFORE or AFTER orthodontic treatment? 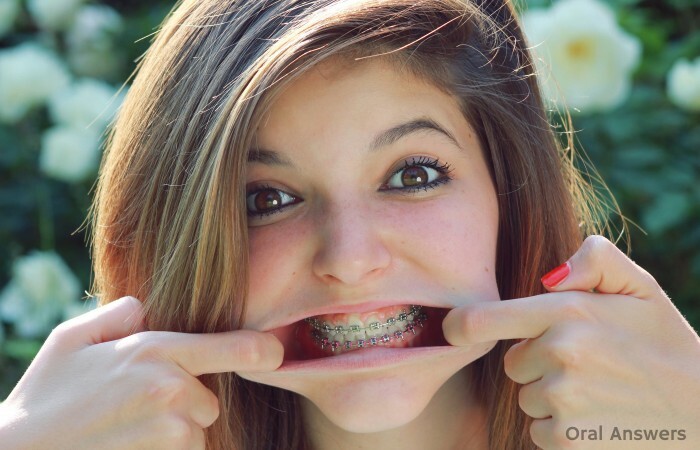 Hi Daisy – Everything I have read says that it should be done AFTER orthodontic treatment. I think that this is the case because dentists/orthodontists are recognizing that after treatment is completed, a frenectomy really isn’t necessary. Also, it has been said that the scar tissue that forms can inhibit the teeth from moving together. Obviously, there are many different views on this when you talk to practicing dental professionals. I usually lean towards the more conservative approach – if there’s no need for surgery, why do it? The information that I found when researching this all seems to agree that the frenectomy should only be done after orthodontic treatment and only if it is believed that the frenum will open the diastema back up. That’s what the textbooks say, but a lot of practicing clinicians seem to be doing it before… I hope that helps! At least your orthodontist gave you a choice and explained the pros and cons of each. Some simply tell you when it must be done. If you have any other questions, let me know. Thanks for your comment, Daisy! Hi Tom, my daughter is 6 and just heard she had a problem with labial frenctomy. Been reading up but unsure wheather we should do it now thinking it will help to bring the teeth together or should we wait. Should we wait until all the big teeth are out let her get braces and then after braces get it done? Thanks would like a honest opinion. Hi Tersia – I wrote an article early last month that you might find helpful about the age at which a child should get a labial frenectomy. Unless there’s some urgent problem, usually kids should wait until after the permanent upper canines come in before getting a frenectomy. The canines push the incisors together and often close the gap on their own. I hope that helps – let me know if you have any other questions. labial frenectomy will the front teeth come out under the gum? Will the gum show when she smile? Hi Tersia – As far as I know, the labial frenectomy doesn’t change how high the smile line is. It will give her upper lip more movement, if her upper lip is currently being restrained by the frenum. Let me know if that answers your question – Thanks for your comment! My daughter is 11 years old. She has a gap between her front two teeth and a very low frenulum that has not caused pain, speaking issues or any other problems. Her upper two adult middle teeth have erupted and are almost all the way in. Her adult teeth next to them are in (slightly crooked) and the two canine baby teeth are still in place. Our dentist suggested a labial frenectomy. I had a second opinion from the orthodontist. He took an x-ray and said the canines are coming in crooked and are pushing on the adult 2nd teeth causing them to be crooked. He suggested upper braces on the four upper teeth to close the gap and give more room for the canines so they hopefully find a better path to erupt, then do the frenectomy followed by a second full set of braces. Does this make sense to you? What is the probability that the adult canines erupting correctly could close the gap naturally so there is not a need for the frenectomy. This is a very confusing topic so any suggestions or comments would be appreciated. I do not want her to have a surgery that is not necessary. Hi Peggy – What your orthodontist suggests does make sense to me. It sounds like he doesn’t want to do the frenectomy until after the canines have come in. If that’s the case, then you should be able to see how the gap is closing and then go from there. If the teeth can’t close all the way, or they end up re-opening and it looks like it’s being caused by the frenum, then a frenectomy is usually advised. I hope that helps! Let me know if you have any other questions. Thanks for your comment, Peggy! I have a 12 year daughter and she has been told that she needs her Frenectomy before her brace and then it is the worst case the dentist has seen for 10 years, after read what is said here should I ask then to wait till after brace? Hi Emma – There always are people who fall outside the realm of the “general guidelines” that are described in the textbooks I quoted above. If it’s the worst case that the dentist has seen in 10 years, then I would probably talk with the dentist about what you’ve read and then ask them if they really think that the frenectomy is necessary. Since your dentist knows your daughter’s dental situation better than anyone else, I would probably go with what they’re saying. You can always get a second opinion if you feel unsure. I hope that helps. Let me know if you have any other questions. Thanks for your comment, Emma! My dentist has referred my son to get a labial frenectomy, but does not have a gap between his top two front teeth. He had a gap there when growing up, but all children have gaps between teeth as they come in. My son is now almost 13 and I don’t think that frenum is causing any problems. He hasn’t had any discomfort, his adult teeth have grown into place nicely with no gap, and he does not have any speech impediments. A periodontist consultation is scheduled for this week, but i wonder if this is even necessary. Should we go to the consult or stick with my gut feeling that this procedure is necessary at this time? Hi Ruth – Another possibility is that the frenum is pulling on your son’s gums and causing gum recession around the front teeth. If he doesn’t have this, I can’t think of any other reasons that a frenectomy would be necessary. You may want to ask your dentist why he/she thinks that the frenectomy is necessary or you could always get a second opinion. I hope that helps, Ruth. Let me know if you have any other questions. Thanks for your comment! So my question is : Is It Possible to have Frenectomy surgery now “After I have removed my braces ” ??? Hi Zaina – Some experts say that if you were to have the frenectomy now, it may create scar tissue and make it more difficult to get your teeth moved back together. Your best bet is probably to get the teeth moved back together and then get the frenectomy. I hope that helps, Zaina. Let me know if you have any other questions. Thanks for your comment! my gap very well & then I’ll go 2 dentist to have the frenectomy surgery!! Hi Zaina – I don’t have any experience with orthofill. If you use orthofill to close the gap, wouldn’t it cause a gap on the other side of the tooth as well? You can give it a shot and let us know how it worked for you – I’m interested to see if you get the results you want. Good luck! I hope that helps – Thanks for your comment, Zaina. Let me know if you have any other questions. My orthodontist wants my daughter to have a fiberotomy to prevent her teeth from rotating back to where they were before orthodontia. I have done some research and it does not seem to always work, but I can’t find anything on the longterm effects of fiberotomy. Couldn’t it cause problems in the long run with weakened gum tissue? Won’t a retainer keep my daughter’s teeth in place? I sent this as an email also, but wanted to post it as a comment here, since my orthodontist is also recommending frenectomy, which also seems unnecessary until we see how her teeth are after her braces are removed. Hi Alice – A retainer worn every night would probably hold your daughter’s teeth in position. The problem is that many people get lazy about wearing their retainers and the teeth eventually drift back. I don’t know much about fiberotomies. I only know that by cutting the gums away from the tooth, it prevents the gums from pulling the tooth back to its original position before braces. I hope that helps – Thanks for your comment, Alice. Let me know if you have any other questions. My orthodontist wants me to have a frenectomy . I have worn braces for the past two years to close the gap in my 2 front teeth, Im considering not having the frenectomy done, Would the gap in my front 2 teeth come back if i dont have this done? Even if i wear a retainer and a little wire on the back of my front 2 teeth to prevent the gap from coming back. Do you think my gap will come back? Hi Mary – Your orthodontist usually knows best. Many experts recommend (as mentioned in this article) holding off on the frenectomy because many times it is not the cause of the gap. I would think that with a retainer in addition to the wire, your teeth would be held together pretty well, but your orthodontist is the best person to ask. You could print out some of the quotes I used in the above article from leading textbooks and ask your orthodontist what he/she thinks. Thank you, Is it possible to get the frenectomy done after the braces have been removed? would you recommend this? Hi Mary – Your orthodontist knows your situation the best, but most orthodontic authors do recommend getting the frenectomy done after the braces are removed and only after it is determined to be a cause of a gap re-opening. l have had braces for the past 18 months to close my maxillary central diastema. Since my gap has closed my orthodontist advised me to go have a frenectomy to remove a tissue which might cause the gap to reappear. I took his advice and had the frenectomy three weeks ago but when l look at the area where the frenectomy was carried out l see there is still a tissue.lm worried whether the procedure was not done properly or the “tissue” is just swelling from the operation which will disappear with time. Hey. I am having my orthotreatment. Have been recommended a frenectomy as well. the one which is done with scissors and suture. not the laser one. what is its healing time? and complications? also i might have to wear life long retainers else the diastema will open. Hope this helps for anyone! I am 21 and had braces for a short while in high school because i had a gap in between my two front teeth! They insisted i have a frenectomy so that i would no longer have to worry about my teeth trying to move away from eachother again. I was so happy and agreed to do the minor surgery. I had no issues with the surgery, it was simple! Point being, i understand everyone is different but with my experience i felt the surgery was not needed and a waste of money. Hope this helps! I have had braces for 6 months now. And, my dentist told me that before he takes my braces off he wants me to have the labial frenectomy surgery done. My gap is hereditary and everyone in my family has it. Is it recommendable? Hey everyone, I have a few questions to ask since my orthodontist won’t answer them..
My teeth and not doing there Job right. Can I get a fretnectomy with my braces on?? If anyone could PLEASE answer I would greatly appreciate!! My daughter is 11 years old and had a hugh gap between her two top front teeth. It seems to be a heriditary trait from my father-in-law as my husband and both his brothers also have this same gap. My daughter has had braces on her top front 4 teeth for 7 months, and I am very pleased and surprised at how quickly those 2 teeth have come together. Her orthodontist has now referred us to an oral surgeon to have 4 teeth pulled and to have a frenectomy done. Originally we were told that she would have that done AFTER the braces come off, but now he wants us to have it done while she still has the braces. Is this unusual, and can the surgery be done effectively while the braces are still on? On the article above, he recommended to get the frenectomy after braces. Maybe you should follow his advice. What do you think I should do for her? I currently have braces, and I have had them for 8 months now. One morning (this morning) I woke up to feel my freneum swollen only behind my two front teeth. And i have to admit, it’s kind of a bother when i bite. It feels more puffy then usual, but it’s not extremely painful. What I am scared of is that…is it going to be damaged since the braces are forcing so much pressure on it? Like, will this be a big problem now? And are their any chances I might have to get this removed? Hello i just had Lingual Frenectomy surgery thursday and i put my retainer on and it feels tight is that normal ? I am going to start the invisaline treatment and the Ortho wants me to get it done before we get my trays in. I am in my late 20’s and when I look at my mouth I don’t feel like I need it done but he is saying I HAVE to.I feel like its not necessary. My sons I could see him having to get it done as his runs down in between his teeth but mine is up high. My daughter (6 years old, has baby teeth still except for one on bottom) has a very large gap in between her two front teeth. You can probably fit 3 nickels in her gap. There is a large thick area of skin in between. It doesn’t look like normal gum tissue. It is consisting of 3 thick lines in it. It doesn’t hurt her. But at times people ask her if she lost her front tooth, that’s how big it is. I agree with braces first and surgery later but, her gap is big! Because it’s so big, will that cause problems before braces? The dentist said your upper jaw is growing faster than her lower jaw. If it came to surgery after a second opinion…How do they do the surgery. How can they remove all that tissue between those teeth without affecting the growth of her adult teeth? I am undergoing an orthodental treatment from the past 8months and all the gaps of upper and lower teeth are aligned properly except the small space between the two upper teeths,So doctor advised to have frenectomy treatment so that the gap will not be reopened. My frenectomy is too small when compared with the images of others and i am hoping there is no need to have frenecomy treatment as there is a very small piece attached to the upper lip and it is not dragged till the teeth,so please advice whether is should undergo frenectomy treatment or not. My childs ortho referred us to a periodontist who recommended my 15 year old son get a Frenulectomy and graft for his bottom front tooth that appears longer than the others. He says it is also protruding the root in the gum and if he doesn’t do this surgery he will eventually loose the permanant tooth. The Frenulectomy is for the piece that attaches the lower lip to his gum line, not having anything to do with the tongue. The first orthodontist he saw for a consultation for Phase 2 braces never even mentioned a concern. It was the second ortho who referred us to the Periodontist. Both are also saying he would need the surgeries prior to getting phase 2 braces. Does this sound normal? My daughter who is now 19 had braces when she was about 12-13 yrs she had protruding front teeth and a large space between the two front teeth. After the braces came of the space gradually came back as well as some of the protrusion . Now a dentist is recommending she gets braces again then a frenectomy. Well, your sister it is has taken correct decision to postpone the frenectomy for time being as it is better to close the space first with braces, and THEN undergo a frenectomy with the teeth held in their final positions. It is suggested so because scar tissue that may result can be as imposing an obstacle as the original frenal tissue. My daughter is 12 and had a frenectomy 6 months ago after getting her braces off. Problem is, her lip retraction when she smiles has shifted since the surgery. She is now slightly lopsided, as the upper right pulls up more and curls slightly when she smiles. Is this reversible? Is it preventable? I’m returning to the oral surgeon for evaluation but wanted to know the incidence of post-surgical problems like hers and if they can be rectified. My dentist wants to cut it while i have braces on and my gap isnt closed yet i bearly got do i need to tell her no? Hey Tom, your answers were really helpful. I am 25 years old and I am having braces from the past 3 months to close my diestema. I am from India and my dentist at the begining of my treatment suggested frenectomy. I am a teacher and I would not be able to take my classes if I had the surgey. I am confused whether I should go for it. I am not sure if frenectomy is a must in my case or not ,as my denstist asked me to wait till the gap is closed. The gap closed after 1 month. But my doctor insists me to wear them for longer duration to get the teeth positioned in their new orientation. I would like to have your comments on wheather it would be wise not to go for frenectomy if possible. And how can it be determined if the frenum is posing a problem for the gap between my front teeth? Is it necessary to do lower labial frenectomy if there is pull on gingiva when lip is retracted? before orthodontic treatment? Hi! My daughter is 12 and has braces on. Her teeth are closed, no spaces. Her orthodontist told me that she needs a labial frenectomy. He said when she takes her braces off that the gap will re-open. It looks normal to me. It is not big or look distorted. He wants it done before braces are removed. He said that the skin in the middle is a muscle and when you lift it up that it moves close to the teeth which means that it will move with talking, chewing etc. I don’t see it. What is your advise. I TOOK THE LABIAL FRNECTOMY OFF at age 14 but I got NO RESULTS I still have the small gap and I’m going to turn 16 soonn.. The doctor told me it needs more time but I’m sure it doesn’t. I want to put on bands and sleep with them overnight.. AFTER my gap is closed, I’ll just put on a retainer.. Isn’t that a good idea?? My daughter is 15 has had braces for 2 years now, now that we are getting ready to get the braces off the Orthodontist is saying for the 1st time my daughter needs a frenectomy, just because the Orthodontist says you need it done does not mean you need to do it, don’t know why this wasn’t mentioned right from the start, I am not putting my daughter through that, I have been reading up on this, the retainer will keep the teeth from moving back, seems unnecessary to put my kid through that, she still has more work to get done once braces come off as it is. Hi. I just want to leave a message that your daughter and I have similar situation with our braces. My dentist pull out 2upper teeth nexts to my canines because I had crowded teeth. She didn’t mention to me the first day about that frenectomy when in fact before she put braces she diligently studied my teeth structure! Now, she’s telling me that she won’t take my braces off unless I go through the labial frenum surgery. I’ve been researching about this and I think it’s not my frenum that’s the problem. My 4 upper front teeth are not exactly as aligned as I think braces should do. I don’t know she just made it that way. And I asked her if she could re position the brackets but she just won’t! She keeps on telling me that it’s good that she liked it but for me, I feel it’s not good! You know the feeling that something’s not right. I hope this kind of problem be get fixed. Hi. I just want to say I have the same situation with your daughter. I’m 25.My dentist studied my teeth structure diligently before she decided to pull out 2 upper teeth nexts to my canines. I remember so well that she repeatedly examine my whole mouth before we get started on my braces. During those first days she never mentioned to me about this possible frenectomy. I mean she could have at least warned me about this that is if she really was sincere with her work on my teeth. I feel like I was used. I was one of her clients giving her money for my not so desirable treatment. I’m so upset right now with everything. She told me she won’t take my braces off if I’m not going to have frenectomy. Great. Now, I feel like she’s more focused on that surgery rather help me fix this problem hearing my own opinions and worries about that. You know you just feel something is not right. I asked her if she could reposition my brackets cause I can see that my 4upper front teeth are not aligned as I expected them to be. She won’t do it because she liked it that way. Well I don’t. What about my thoughts? My concerns?I really believe frenectomy is not the answer to our problems. If only they would listen and be like real dentists that help people like us who just wanted to have better and healthy smile not treating us like just some people telling us what to do and expect us to do it just because they tell you. My daughter just had a labial frenectomy. Her dentist had said they wanted to do the surgery to help close the gap. My daughter hates her gap but doesn’t want braces. After reading and searching about the surgery i haven’t come across an article talking about the procedure closing the gap, so does the procedure close the gap without getting braces? Hi, does the labial frenectomy changes the look of lips, smile or any other appearances?